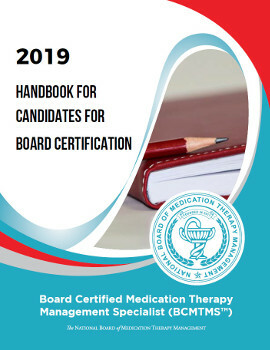 The National Board of Medication Therapy Management (NBMTM) relies on the knowledge and expertise of pharmacists to guide our organization’s future efforts. Read the information below to find a volunteer opportunity that best allows you to impact NBMTM board certification. To apply, please complete and submit the online NBMTM Volunteer Application Form. Our commitment is for NBMTM board certification to reflect the ongoing changes in pharmacy while remaining a respected and credible exercise of professional self-regulation. You can choose from many opportunities to contribute to the future of NBMTM. Benefits of volunteering include the opportunity to network, work with colleagues, move into other volunteer roles, and, most importantly, to have the satisfaction of making a positive impact on the future of medication therapy management. The NBMTM has worked to implement a test development strategy that establishes a fair and rigorous examination process. In this process, we implement several different versions of the examination to ensure candidates don’t all take the same examination and for those who have to retake the examination, they do not take the same examination twice. Each examination is comprised of 200 multiple choice questions. Only 180 of these questions are scored. The other 20 questions are non-scored “pretest” items that are interspersed throughout the examination. Pretesting allows for evaluation of the items prior to using them for scoring. Performance on the 20 pretest items does not affect your score. These exam items are written by item writers and approved by the Exam Committee. New exam items are cycled through each year for the certification examination. The Examination Committee is in charge of reviewing these new items. It is a one-year commitment and is led by two Board members, the Exam Committee Chair and Co-Chair. Becoming a Remote Item Writer is easy. Register as a Remote Item Writer by completing our online volunteer form. 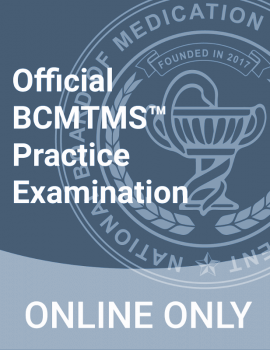 Read our guidelines on writing items for BCMTM™ exam. Write items from your home and receive feedback the next few days. Earn free contact hours to maintain your certification. Item Writers can receive two (2) contact hours for each item submitted and can earn up to 60 contact hours in a 5-year recertification period to apply toward recertification. If you would like to learn more about this activity and how to participate in writing items, please contact us at contact@nbmtm.org or apply our online volunteer application form. Once the item writing assignments are submitted, the newly written items are reviewed by our Exam Committee. The NBMTM Board of Directors is comprised of up to 20 Directors. A Director’s term is one year. The full Board meets in person at least once per year and by phone once per year. As a Board member, you will also have the opportunity to take leadership roles within the NBMTM Board structure. As a director, you may choose to run for the office of Board President, Secretary or Treasurer. You may also be selected to lead the Exam Committee, Nominating Committee or Marketing Committee. The Marketing Committee provides leadership and guidance for the marketing practices and communications plans around topics such as social media, changes to policy and procedures, conferences, toolkits, etc.